Download our rockin’ team pic! On a late summer night in 2016 the founders Daud and Frank sat together enjoying a beer at Berlin's Bitcoin street (Graefestrasse where also the famous Bar 77 is located) discussing if there are any real business use cases for blockchain technologies. All the sudden it hit us as a strike there is was that problem that we faced in our professional life and that was software license management. 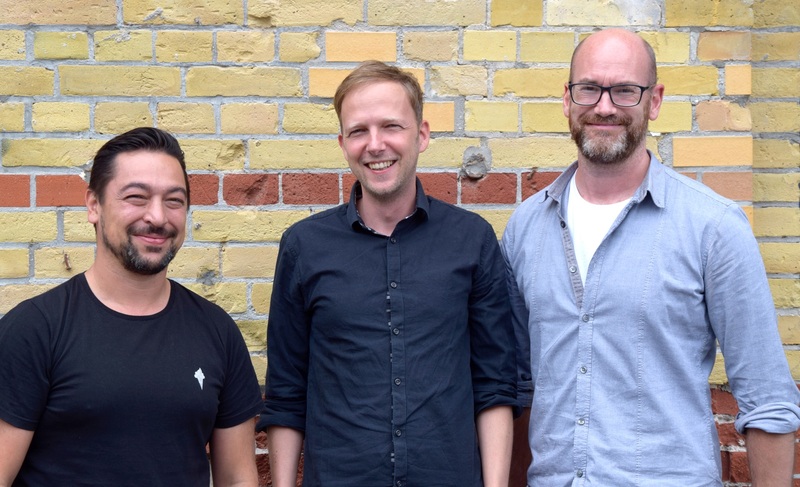 Daud and Frank applied then and received the Berlin Startup Scholarship in January 2017 for that idea and worked on the researching part and on funding so that the first developer could join. As a go to market strategy we decided to start with insolvencies because here we figured out that we found a market niche that is still based on extrem information asymmetry and our solution would be of great benefit for any insolvency manager or liquidator. After just two pitches we are now working on the largest insolvency in Germany. license.rocks logo isolation area. This area of separation is a minimum and should be increased wherever possible. We are happy to help, get in contact directly!